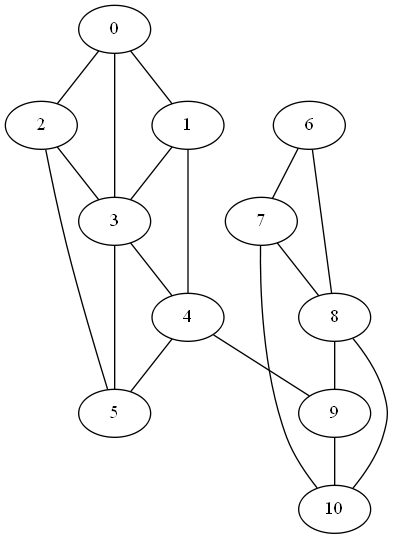 Spectral graph theory, looking at the eigenvalues of the graph Laplacian, can tell us not just whether a graph is connected, but also how well it’s connected. 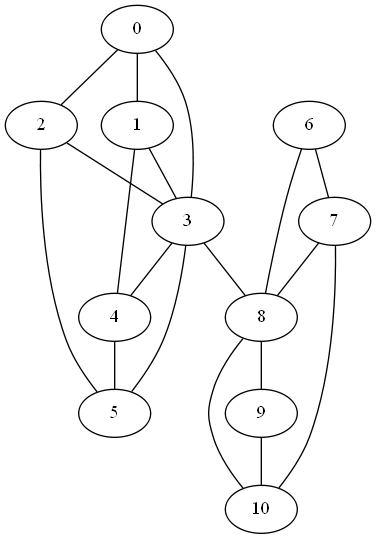 If a graph can be split into two components with no links between them, that’s probably easy to see. It’s also unlikely unless there’s a good reason for it. 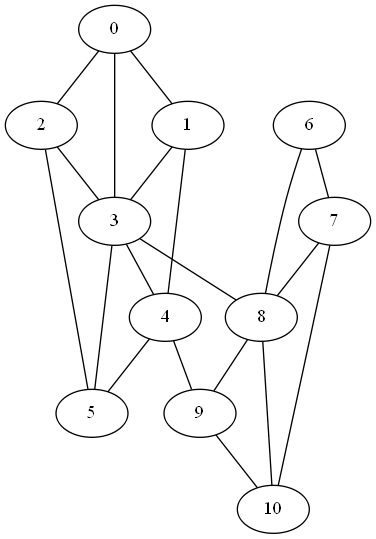 The less obvious and more common case is a graph that can almost be split into two components. In this graph, the second eigenvalue λ2 jumps to 0.2144. 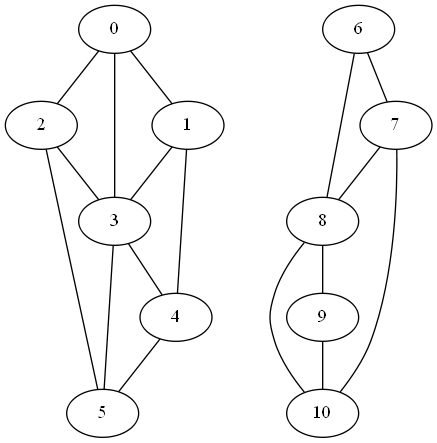 Finally, if we add both, connecting nodes 4 and 9 and nodes 3 and 8, λ2 increases to 0.4989.